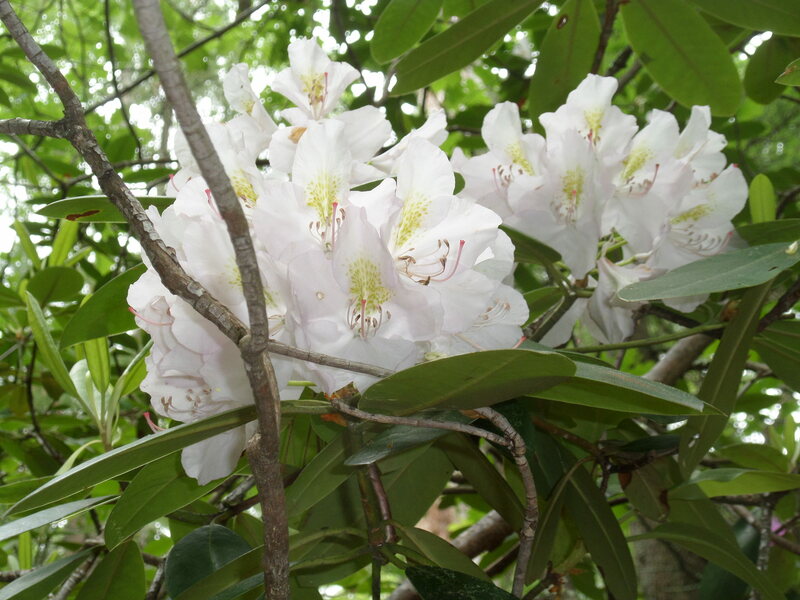 We see many small flowers on our walks along Massachusetts woodland paths. 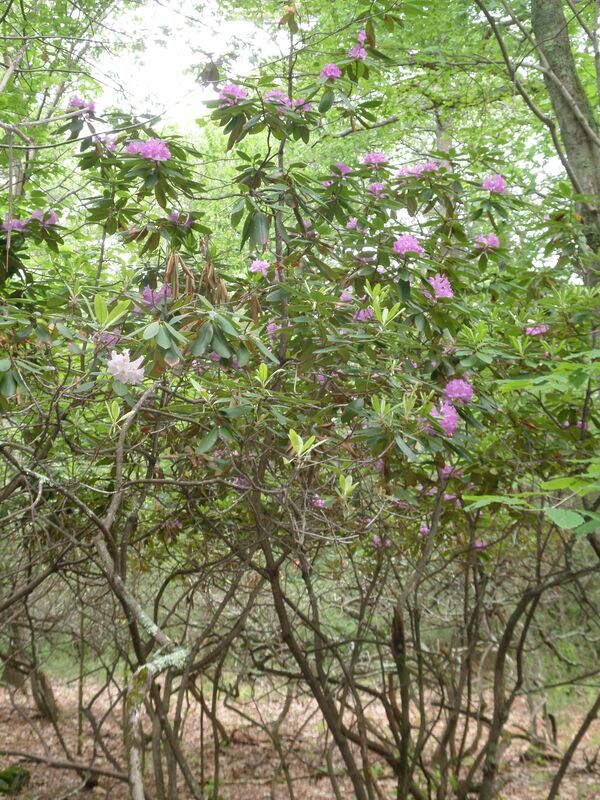 But it was a real treat to discover an Easy Walk, a broad open cart path along the way to where huge, bright pink, showy blossoms were in full bloom in the rhododendron colony in Dover, MA at the Peters reservation, (a property of Trustees of Reservations). 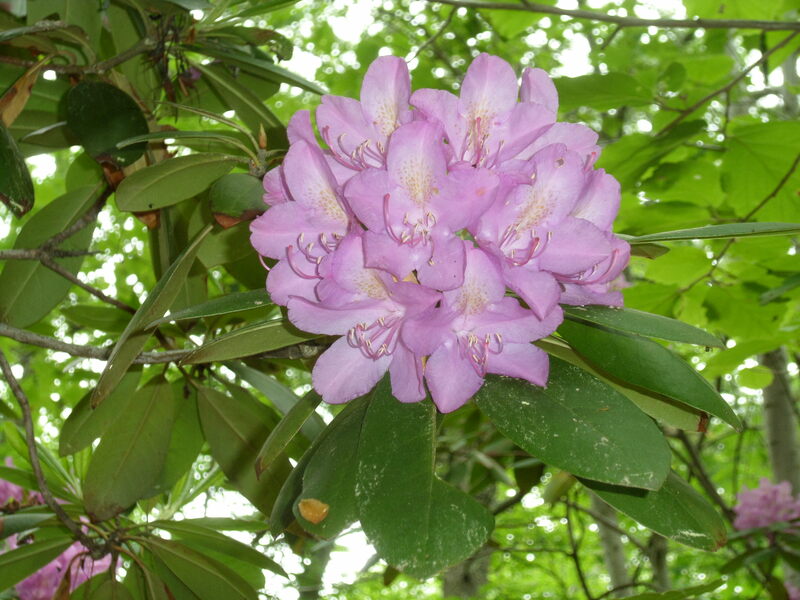 June is the time for rhododendrons.